Cendecon provides the most trusted Hoarding Cleanup Services in California. We have been helping families for more than 10 years. We do more than just junk removal, we provide full service hoarding cleanup services. Our staff is understanding, sensitive and compassionate. We are here to help make difficult situations a little easier to deal with. Call us for a free estimate at (877) 800-8110. Read real client testimonials here. For tips when hiring a company that provices hoarding cleanup services click tips. Cendecon has been providing help for hoarders for years. 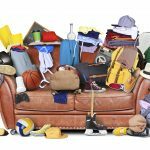 We have thousands and thousands of man hours decluttering and organizing properties. Our estimates are free and we are available 24-hours per day. Call us at (877) 800-8110. Hoarding is known as an Obsessive Compulsive Disorder (OCD) where a person or persons collect an over abundance of things. Be it trash, food, newspapers, animals etc. People who do not suffer from this disease do not always understand the condition, but it is a mental illness. Whether you or someone you know is faced with a hoarding situation, also known as pack-rat tendencies – Cendecon is your solution. Cendecon offers hoarding cleanup services throughout California. We have professional organizers who can help sort and declutter any hoarded property. We specialize in hoarding cleanup services, extreme hoarding cleanup, gross filth clean up, animal hoarding cleanup and more. For hoarding estimates, advice or information call us toll free at (877) 800-8110. Although hoarding may not be a well known condition and it’s usually not accepted by others, you don’t need to be ashamed or embarrassed. You are not alone, hoarding is a disease that many suffer from. Some people don’t even realize it is a problem until it’s too late – usually by that time the hoarder is far too embarrassed or ashamed to openly ask for help. In my experience, most hoarders don’t come forward asking for help or asking for a cleanup – someone usually steps in and either grabs the bull by the horns or forces their hand. Our crews are very understanding and empathetic to both scenarios. We do not ever approach the scene with a preconceived notion that we will throw everything away. We do realize that there is some sort of emotional attachment. We have provided trashout services to hoarding clients at their request, we have also searched high and low for valuables and other situations where we have separated the trash from the salvageable items. 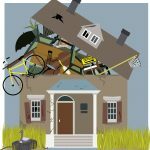 We treat each and every hoarding situation as a unique situation – because that’s what it is. Compulsive hoarders or people who “collect” excessively have triggers and reasons for doing so, whether they consciously know it or not, and these people respond to the “declutter” process differently. Some people take it really hard and feel as if they have suffered a sever loss – while others view it as making room for more. We realize that opening your house to strangers for hoarding cleanup services is a huge step. Even if the “collector” is not cured it’s a very big step. It is important that you are comfortable with, not only the person you met and hired – but that you’re comfortable with the crew and the company – our crews are very compassionate, understanding and nonjudgmental and most of all we want to help you get things back in order, all of our crew members are willing to go on the initial estimate if that is something our client would prefer. It can be very overwhelming and you may not even know where to start. We will design a program, tailored to your needs and wants and keep you abreast along the way. Hoarding not only affects the lives of the hoarder but often times a landlord, family member or property owner may find they are left to deal with these situations. It can be very time consuming and not everyone has the patience or spare time to devote to handling these situations. Another fact to consider where hoarding is a problem are rodents, insects and other pests that may have taken up residence. Usually there is much more than meets the eye. Cendecon offers cleanup services for all types of hoarding. Anything from buying in excess to animal hoarding hoarding, gross filth and unsanitary living conditions, to hoarding blood soaked feminine products and more. If you find you are in need of our hoarding cleanup services please call us toll free at (877) 800-8110.